These are images of some ancient Indian designs, more than ten centuries old. 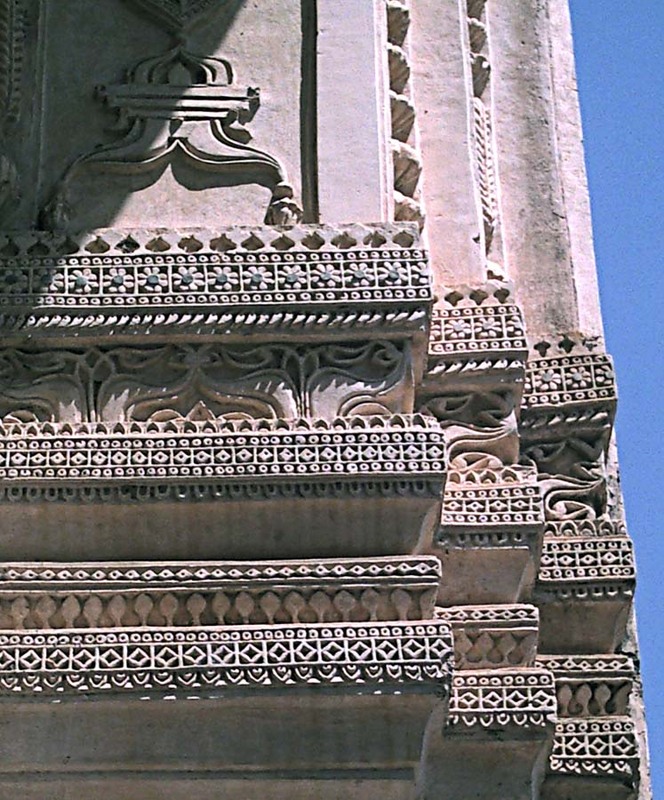 Architectural as well other types of carvings at the Golkonda or Golconda Fort on the outskirts Hyderabad, in Andhra Pradesh, India. Inside the fort are the ruins of bastions and cannons, gateways and drawbridges, royal apartments, temples and mosques. The Fort at Golkonda was built by the ruling kings of the Kakatiya dynasty which ruled this area in the twelfth century AD. 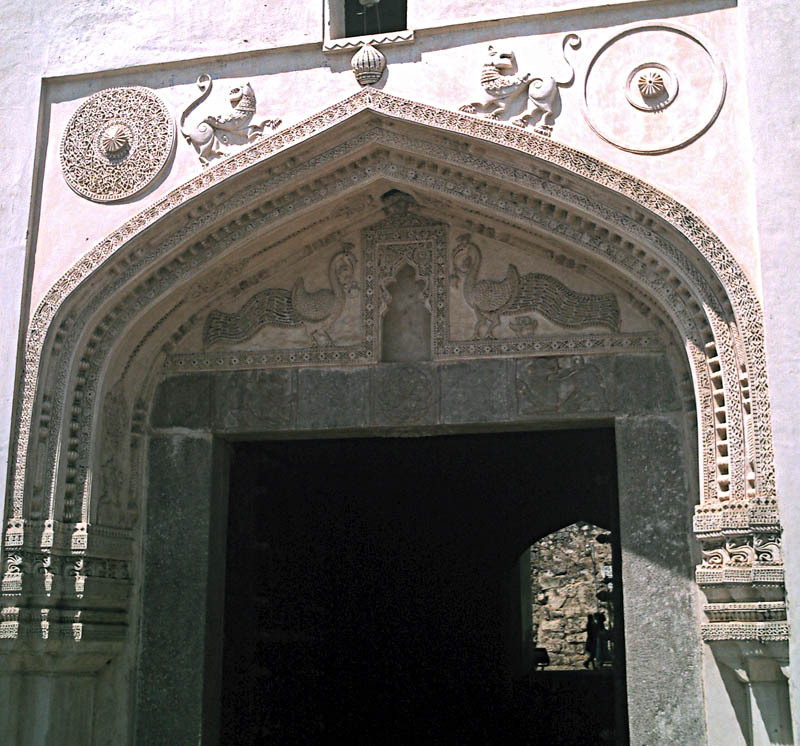 Here is one of the decorated arches in the fort complex. Intricate designs can be seen all around the arch and two lions are carved on to the top of the arched doorway. 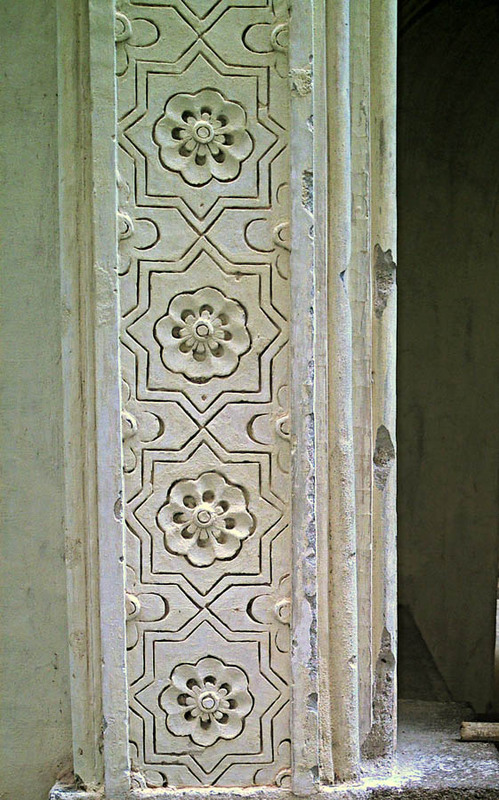 Underneath, just above the entrance, there are carvings of two peacocks. Animal figures were frequently used in ancient Indian Art. A close up of one of the elaborately decorated walls of the fort. 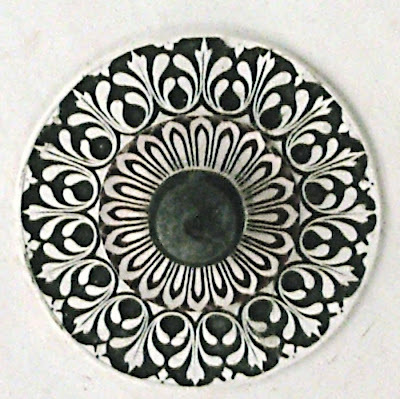 The turrets boast of a geometric design of circles, diamond shapes but also flowery designs like small flowers in the centre and elongated petals and leaves. 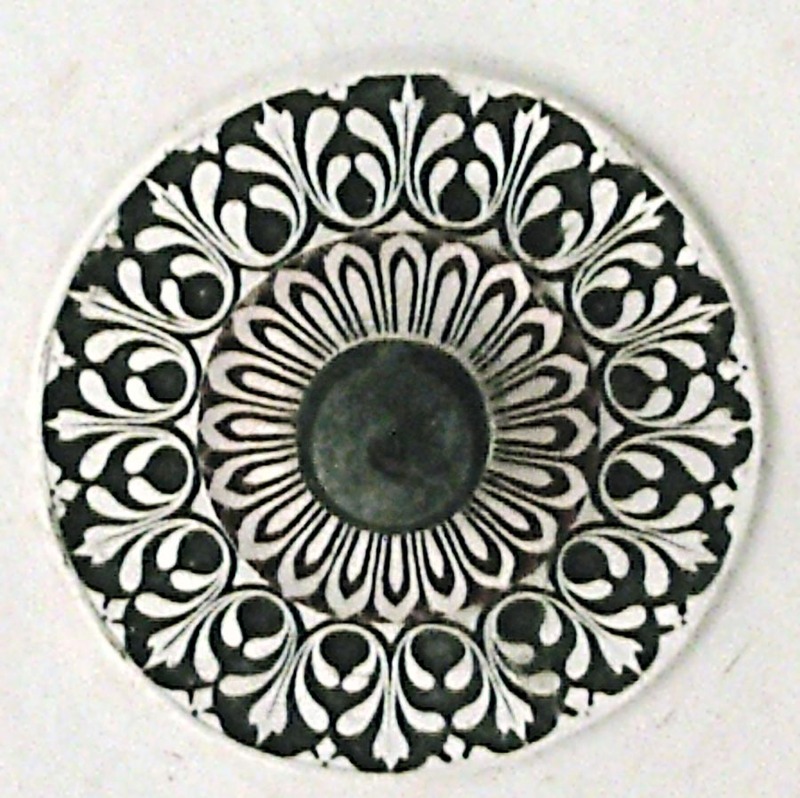 A small marble decoration on one of the inside walls of the Golkonda Fort, in the chambers. A decorated pillar at the Golkonda Fort. 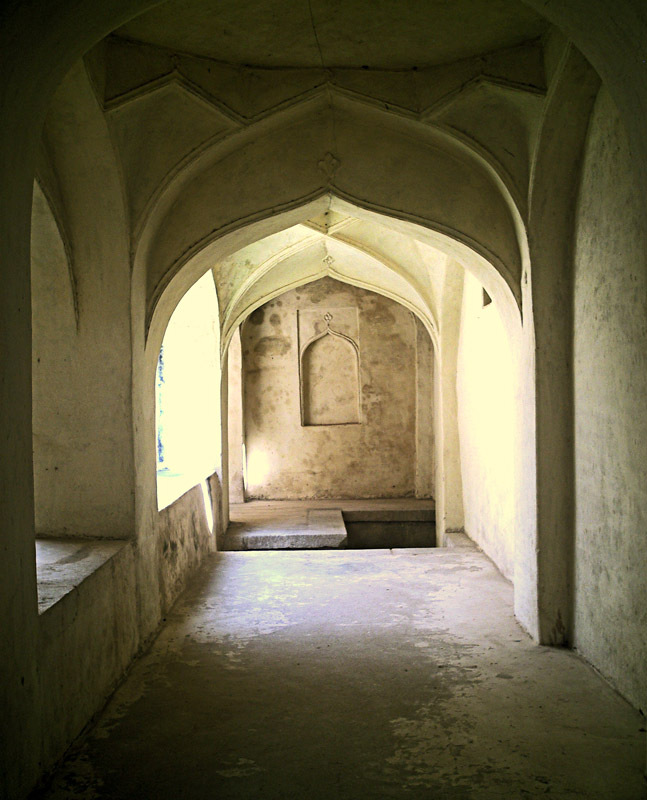 One of the arched passageways inside the Golkonda Fort.